Okay, maybe Hate is too strong a word. I detested albinos. I resented them, disliked them. I stayed away from them like a plague. If I stepped on the road and the first person I took notice of was an albino, I would go back, pay and cry, cast and bind every demon that wanted my day spoilt. If I spotted one in any bus, i was not entering even if someone offered to pay for me. I changed my class in JSS1 and went to the most notorious class in school because an ‘afin’ was to be my classmate. Albinos were, to me, worse than lepers. I wondered why people made lepers stay far away from ‘normal’ people and we still allowed albinos stay amongst us, do the things us ‘normal’ peole do. Infact when I was younger I thought Albinos were the real lepers sef! That thought lived with me, haunted me, terrified me. Until June 2009. Delta State university. Post UTME candidate. I was so lost could pass for the main actress in the LOST series. I had gone round the whole school looking for convocation hall and I had found myself back on the very spot I started from. I was asking and asking, ‘please do you know convo…’ Nobody had anybody’s time! The tears had started stinging. I just knew I wouldn’t write that exam that day again. One year lost. Then, this lady came to touch me. I looked up and jumped! Afin! Ehn! I had to comport myself and breath in and out steadily to still my fearful heart. I was praying already, getting ready to run fast… She asked what was wrong and I told her half of the gist, almost saying “right now, you are the real issue!” I sha made sure I spoke like i didnt have an issue. She picked the problem and asked where my hall was. I pointed. She asked again and I told her. She laughed and told me ‘if I leave you, you will just lost. That’s the gate you are pointing to. Follow me jareh. That’s where my hall is too!’ She took me there without stress, helped me find my seat, justly turning back to check if I was okay. I was ulceric then and my tommy had begun to ache. She came to me and asked what was wrong, told her and she dashed out to get me doughnuts and a bottle of yoghurt. We had started the exam when she came back. She was explaining and explaining to the invigilator, and I just sat there, looking at her. She was freed, almost ran to my seat, handed me the refreshment and made sure I took a bite and a gulp before she left! I cried when she told me she didn’t make Law but she got English. Different campuses, too far! I had made a friend and that friend was an albino. The thing I feared most had come upon me! She was the best friend ever! She made that fear dissolve! She was my angel amongst men! Albinos are awesome! And my testimony has been buttressed… His mum, my awesome new mum is one and beauty is an understatement for her; skin, face and heart! She is one obvious angel amongst men and us her kids her a testimony to this truth! 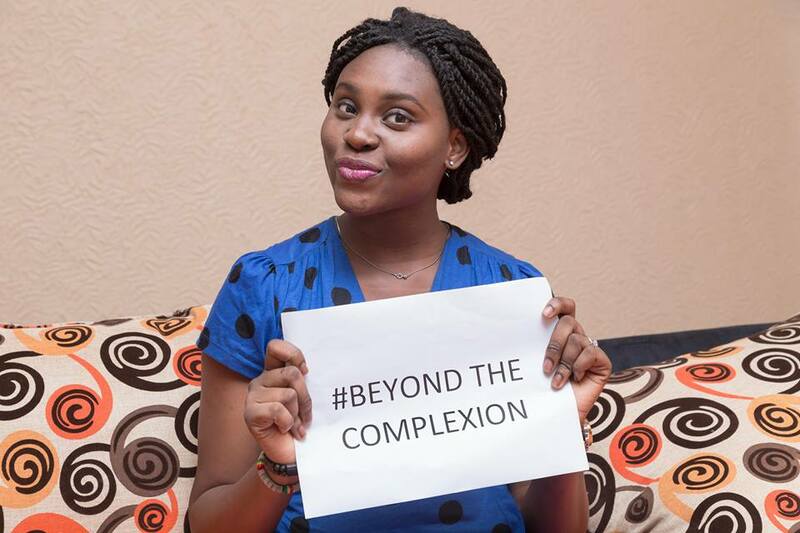 Beyond the complexion Love the person! I am SSEA and I am for ‪#‎Teamlightskin! Please join in this campaign too!